What catches your eye first: an image or a block of text? Even if a title is total click-bait, you probably look at the picture first as you surf the web and skim social media. Visuals connect faster than text; that’s just how humans are wired. Pinterest was created to cater to that human characteristic. It’s all about the visual. Images are front and center on Pinterest and the people who use it love to share. Ignore this marketing tool at your peril - even if you think your business doesn’t fit the Pinterest profile, there are ways to make it work for you. For highly visual businesses, you have no excuse for missing out on a social media platform that outperforms Facebook and Twitter on a regular basis. Visual marketing is trending; don’t let the train pull out of the station without you on board. Pages with images get 94% more page views than pages with no images. These pages receive more “likes” and are shared more often than text-only pages. Pinterest has over 150 million monthly users. Two-thirds of all pins are from business. The percentage of users who follow online retailers on Pinterest is the highest of the most popular social media networks. Pins from retailers produce 27% more sales per click than Facebook posts and 400% more than tweets on Twitter. Pinterest drives more traffic than other social media. Of images pinned on Pinterest, 80% to 95% are pinned or repinned from the web. Pinterest generates more referral traffic than LinkedIn, Google+, and YouTube put together. Content lives longer on Pinterest. Most Facebook posts last just over an hour; content posted on Twitter stays visible about five to twenty five minutes. Pinterest content stays around for a week on average. 87% of pinners have bought a product because they saw it on Pinterest. To add a little spice to Point #4: the average amount of time spent on Pinterest per session is over 14 minutes. What is the average amount of time visitors spend on your website? By the way, you may think of Pinterest as a platform that primarily attracts female users over the age of 40. That’s old news. Pinterest now finds its newly enrolled user base split nearly 50-50 male and female users. Nearly two-thirds of all users are 40 years old and under. Also, the median age of active daily pinners is less than 40. (Pinterest is millennial heaven.) For those courting the youth market: nearly one-third of all users are 18 to 29 years old. No matter whether your business is B2B or B2C, you are essentially promoting a lifestyle if you position your products and services correctly. The lifestyle could be one of physical fitness or be all about increasing productivity. Spin your pins with a lifestyle twist and you aren’t selling software, you are helping save time. All of these images work well on Pinterest and provide a quick pathway to your website and landing pages because pins automatically include a link back to the image’s source. On its website, Pinterest says straight out: all pins should be helpful, beautiful, and actionable. Beauty is in the eye of the beholder, of course. Don’t ignore Pinterest just because you sell industry grade plastic storage or writing services. However, don’t go crazy and pin every single product you offer. Only pin the best products and images from your website and design the pins to speak to interests, not to sell. Make your images more compelling by including faces and size the image to 735 pixels by 1102 pixels for optimum fit. Pins are taller than they are wide so take advantage of the format by using images that are best seen vertically. Alternatively to images of a single item, create a pin with multiple products, each in its own box and placed into a single image. Placing multiple images in a single pin works especially well for grouping favorite items, products that go together, or showing step-by-step instructions. Remember the psychology of colors. People make decisions about products within the first minute and a half of seeing them; most of the decision rests on color. To set off visuals use dark borders and place text within an image like a meme for higher impact. Don’t forget - pins can be videos, too. And always include a call-to-action; otherwise, a substantial majority of people looking at your pins will not interact. The optimum number of characters in a pin is around 300. That’s characters, not words. Use the space wisely and always include a link back the product pictures and, if they are available for purchase, include the price in the image. If something is not in stock, leave the price off the image or you will have disappointed visitors who were prepared to buy something they fell in love with only to find you don’t have it. Within the 300 characters, use relevant keywords to optimize for search and use the brevity to your advantage. Write your pin as a teaser; don’t give everything away at once, just write enough that the user feels compelled to follow the link to your website for more information. Rich Pins - allow you to define additional information using meta-tags to label images as product, recipe, article, movie, or place. You can use hashtags in your text as well to mark pins for specific subjects. Buyable Pins - allow users to buy your product directly through the Pinterest app if they are using Shopify. Promoted Pins - are paid pins you can buy to increase traffic, like boosting a post on Facebook. Promoted pins increase engagement by around two to five percent. Repins - are pins that have been pinned again by a user. Over 80% of the pins on Pinterest are repins, which expands your reach throughout the network. You can grow a lot of traffic by collecting great content. Rich pins let users know what type of image or video to expect and buyable pins can increase sales, particularly for impulse buys. Monitoring repins can show you how popular each pin is so you can do some tweaking to make a low performer stronger. Keep it personable and conversational instead of stiff and formal. Pin often and with great variety. With more pins out there you have a higher probability of having a pin viewed, liked, and repinned. More pins also translate into more followers and comments. In return, you should follow other pins and pinners relevant to your industry or who might be interested in your company. There is no hard and fast rule about the best day to pin your products but if they fall within one of these topics, it may be picked up more quickly on that day as opposed to another. The time of day matters more than the day of the week. Most users get on Pinterest between 8:00 PM and 1:00 AM, especially on Saturday when they don’t have to get up to go to work the next day. Between 2:00 PM and 4:00 PM is another window where users tend to visit Pinterest more often. The worst time to pin anything is during work hours. Even if users are looking for a product or service for their company, they are more likely to look in the evening rather than be caught perusing social media at work. To take full advantage of Pinterest’s ability to generate traffic and leads, treat each pin as though it was any other page of content. Remember, Pinterest works both ways. Place “Pin It” buttons next to your images and content to encourage visitors to share from your website and create pins that are optimized for sharing and sending visitors to your website. To make it easier for users to find pins that match their interests, you can further segment your pins onto boards. A Pinterest board is like a bulletin board; you pin items of interest to it. With Pinterest, you can create boards for specific topics or subjects and place relevant pins on the appropriate board. Create boards for the various subjects or topics of interest to your target user and encourage interaction between users for that particular board and between you and the user. You can also allow users to pin to specific boards, making them valuable data gathering sites as you learn what users associate with your products and topics. Your boards should reflect your core content and each should focus on a theme to attract more interest. Give each board a unique name and combine what your viewers really care about with what you want to say about the subject. Remember window shopping and walking through the mall or downtown to marvel at the window displays? Think of your board as a window display for your pins. Apply design principles to image placement and border shapes and colors to make your board pop. Design a board where you can place all your customer testimonials. You can pin screen shots of testimonials given elsewhere or you can take photos of handwritten note to pin to the board. To encourage interaction and activity, feature a different customer testimonial each week; ask the customer for permission to use a head shot to go along with the text. Dress up each testimonial pin to show off the text and images from your customers. Pinterest lets you create a board that can only be accessed by invitation. Create a VIP members only board for a select group to view and contribute. Create an employee collaboration board that is not accessible by the public. Create a board of clippings and images to use during a sales call such as images of landscape or interior design ideas. Build brand awareness with a Pinterest contest. Contest entry could consist of pinning or repinning specific images or following you on Pinterest. Make it fun and increase activity among Pinterest users. Maybe your contest could be judged by the users themselves by having them select the best Pin from a batch collected over the course of a day. Or they could determine which pin best represents your brand in their eyes. You could generate valuable feedback while having fun and generating traffic. Some brick and mortar retailers are using Pinterest in a novel way. Any product pictured on their Pinterest boards will be marked with a Pinterest label on the shelf at the store, helping people find what they want quickly. 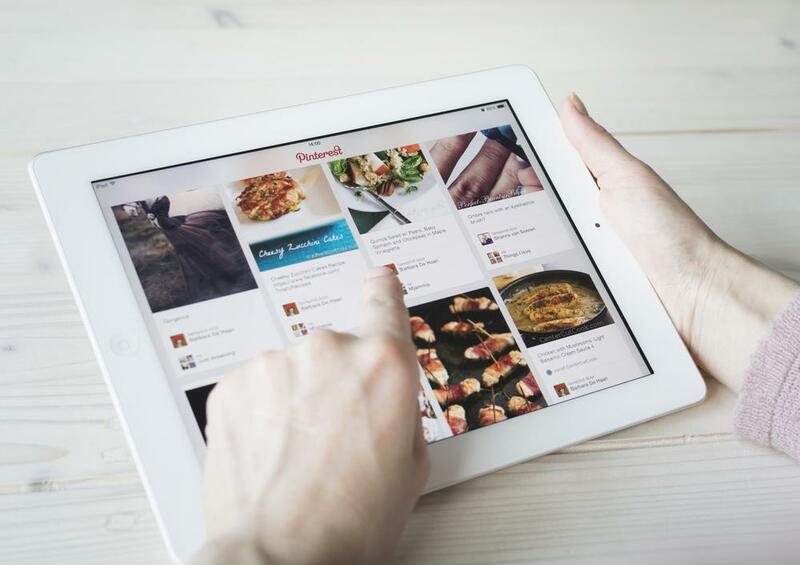 A significant number of users access Pinterest on a smartphone or tablet. They might be strolling around the store and see a promotion on their phones and will want to find it easily while they are still in your retail space. You can also build an app to highlight the location of promotional Pinterest items for employees so they can help customers more quickly and knowledgeably. In any case, pinning products for either an online or physical store that are popular on Pinterest will draw attention to promoted items. As with other social media, getting noticed by influencers can give your business a boost. Use Pinterest group boards to invite guest pinners to contribute pins to your board. Their activity will show up on their feeds as well as your followers’ feeds. Encourage guest pinners to bring news to your site about the industry or interests of your customers. Partnering with guest pinners works especially well if you have a broad selection of products. A tip from the pros: set up group boards to form a strategic partnership with influencers. Allow each partner to curate their own board and don’t allow too many contributors per board. Show appreciation for your fans by thanking them in a fun way on Pinterest. Provide something interesting they can use or recreate to gather new followers such as recipes, crafts, or badges. Share the Thank You pin across your other social media accounts so as many fans as possible get the message. If you look at a Pinterest account that has nothing but pictures of products, it can look rather sterile. People will relate to you better if you show something other than slick advertising. Put together a visual history of your company or share stories of employees and stores. Celebrate milestones or images of your hometown or the city where your company is based. Just as individual pins are more popular when there is an image of a face, your brand will reap the rewards of showing some personality. Pinterest is not only a highly visual network, it promotes inspiration as well. Create images that show what inspired you to start your business or create your product. Inspire potential customers by showing how your product is used in homes or businesses. What inspires your brand culture and drives innovation? Find a way to visualize it and pin it to your board. There are several free or low cost tools available to make creating pins easier and help you measure the impact of your Pinterest account. Previously known as PinAQuote and ShareAsImage, Stencil allows you to create a visual quote, a word based image to share on Pinterest. Download it as a browser extension and use it whenever you come across something quotable that you want to share with your followers. WiseStamp is a business oriented email signature app that lets you display your latest pins in your email. If you send periodic emails or have an e-newsletter, use WiseStamp to engage new followers in your Pinterest boards. Cyfe provides customizable widgets for a large number of sites including Pinterest. Cyfe is one of the few analytical trackers you can use for free, most costs hundreds of dollars a month. Cyfe premium is only $19 per month as of this writing. Use Cyfe to find your top performing pins at the individual pin level by engagement, replies, likes, and other metrics. As a bonus, you can monitor a competitor’s performance as well. Pinterest, like most social media sites, started as a simple way for people to share images but it quickly became the premier spot to show off your products. From the small crafter to the large company, you definitely need to include Pinterest in your social media marketing strategy. Even if you think your business is not suited to images, Pinterest can still work for you by building awareness in your brand and putting a human face on your company.